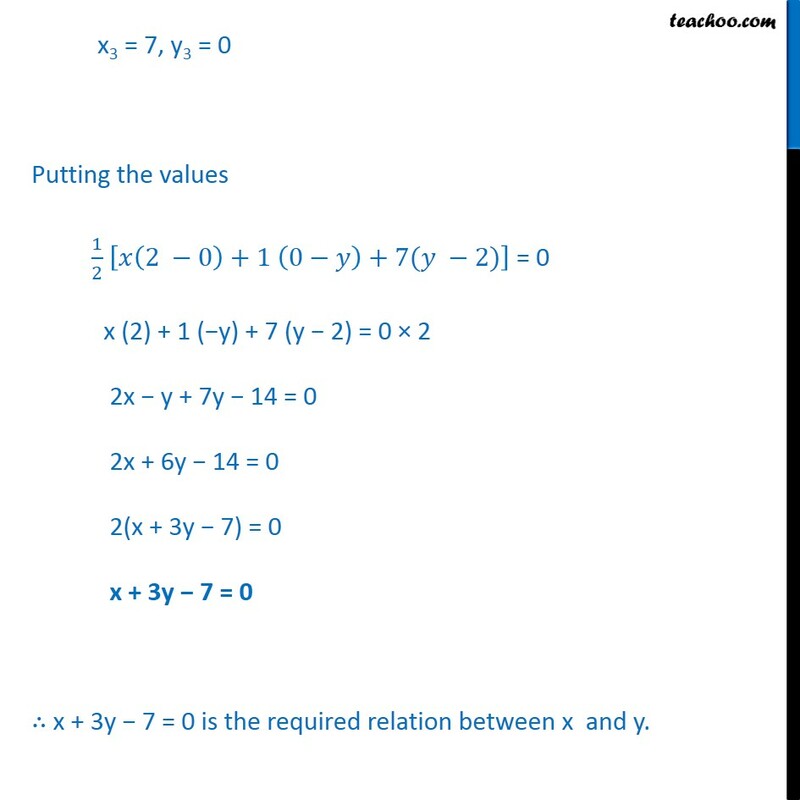 Ex 7.4, 2 Find a relation between x and y if the points (x, y), (1, 2) and (7, 0) are collinear. 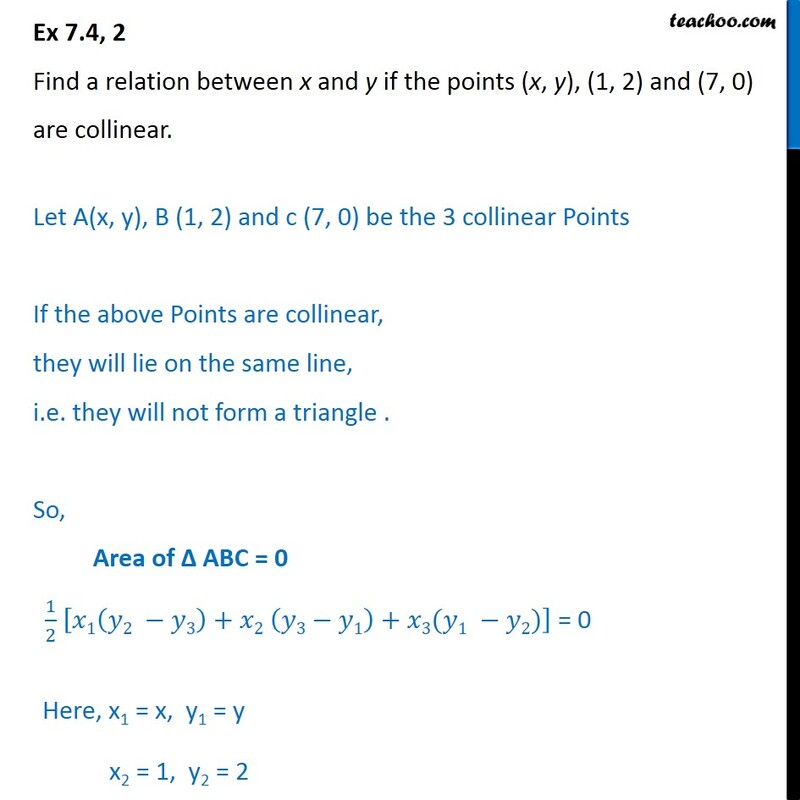 Let A(x, y), B (1, 2) and c (7, 0) be the 3 collinear Points If the above Points are collinear, they will lie on the same line, i.e. they will not form a triangle . x3 = 7, y3 = 0 Putting the values 1/2 [ (2 0)+1 (0 )+7( 2)] = 0 x (2) + 1 ( y) + 7 (y 2) = 0 2 2x y + 7y 14 = 0 2x + 6y 14 = 0 2(x + 3y 7) = 0 x + 3y 7 = 0 x + 3y 7 = 0 is the required relation between x and y.